I love coin purses. I rarely use them, but I love to look at them and I love to have them! They are just sooooo cute! And I have lots of mini balls of yarn and colours yarns so decided to start making some coin purses with frames I had bought ages ago. This one I have named Candy Stripe. 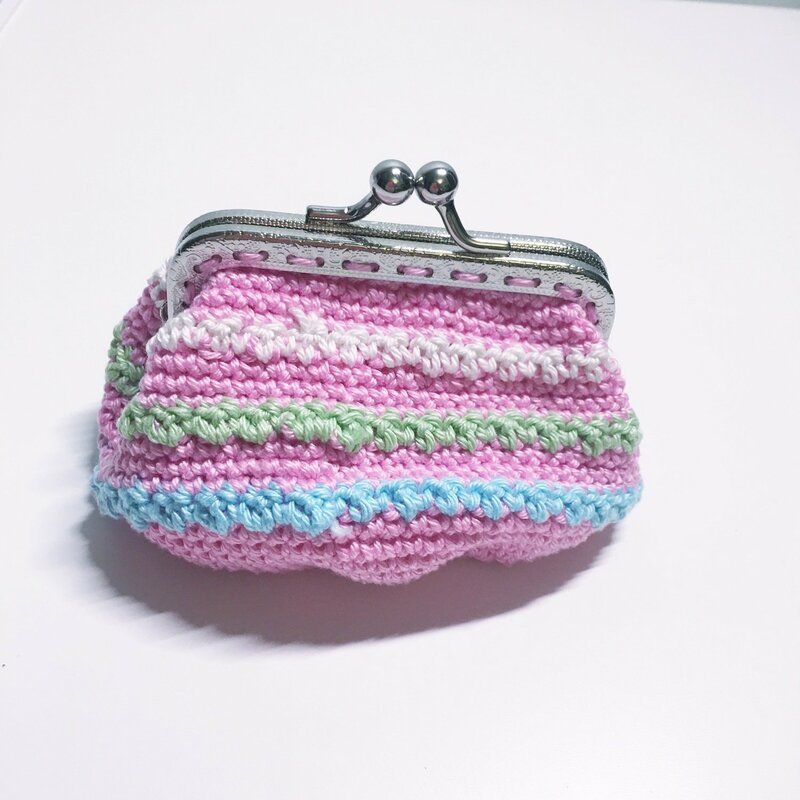 The stripes are textured so the purse will still look cute if you make it all in one colour. I love that there is detail with stitches. This pattern is written in US and UK terms and contains some photos for the sewing it together part. It is also adjustable if you have a smaller or larger square or round purse frame to use. This is a perfect afternoon project and makes for a cute gift for someone.